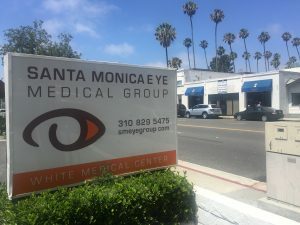 Dr. Rex Hamilton and his staff at the Santa Monica Eye Medical Group have made it a top priority to ensure that patients obtain outstanding visual outcomes with the utmost safety and comfort. Whether it’s LASIK surgery, cataract surgery, or other eye care treatments, our highly trained and dedicated support staff are available to answer questions, handle special requests and offer guidance. We want your eye care experience to be as satisfying as the clinical results. To schedule an appointment, learn what to expect during your visit, find out about payment options, obtain travel directions to the Santa Monica Eye Medical Group or access information about accommodations for out-of-town visitors, click on the appropriate link.